The position of School Psychology in Hawai'i is a District level position, one hired by the State of Hawai'i Department of Education (DOE). 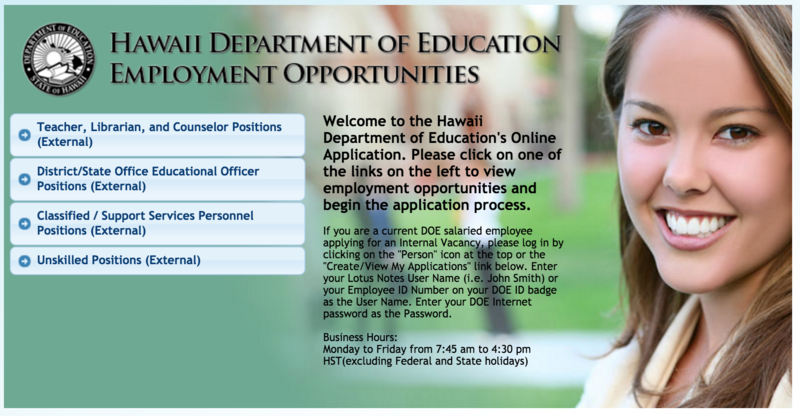 Applying involves creating an account with the State of Hawai'i's Department of Education's electronic Human Resources website (eHR). Searching open positions can be found under the Classified / Support Services Personnel Positions (External) section of the eHR website.